I have been so busy, I haven’t even bought a card, let alone written one. Present buying started in earnest at 2 am this morning. Anyway, back to planning my Christmas. I will have four people in total eating my oversized festive bird. Not the largest party ever, but enough. The planned activities start with breakfast Bloody Marys, then opening the (as-yet unbought) presents, followed by Champagne. Then I shall remember to put the oven on and so it goes on until it’s time for party games. This year, I think we shall play Top Trumps, but not the ones where you have to compare your engine size or imagined scariness. No, I think something far worse than that: Moral Relativity Top Trumps. I am a middle-aged heterosexual white woman and therefore I trump – Guest One, I’m looking at you – the middle-aged heterosexual white man. That gets me a drink. Huzzah! However, disabled white youth trumps everyone there, so he gets all the drinks. Huzzooh. Luckily, his medications do not allow him to drink, so, I will help him out by consuming his share. How caring of me and double huzzah! In case you were wondering, there will be no winner. This is not because of the liberal “Thank you for taking part, no one must have a competitive streak” ideology, which had permeated society, but due to the generous measures of Port (God Save the Queen! ), which will be passed, as tradition dictates, to the left. Back to Moral Relativity Top Trumps. In ascending order, here is the list of who trumps who. You will note that “Muslim” is the top of the tree. And it is. It trumps such strong competition as Sexuality (here in Canada) and Gender (here in Britain). Emily Pankhurst must be spinning in her grave. If we are allowing Muslim extremists to enter our universities to speak to students, they must do so whilst understanding that this is Britain. 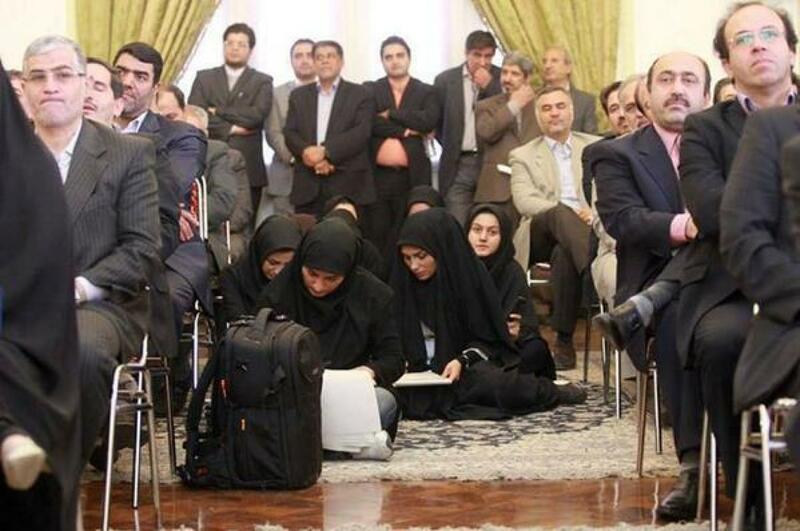 In Britain, we do not treat our women as second-class citizens as they do at Iranian press conferences. In Britain, women are to be addressed as equals, and not just in institutes of learning. More to the point, why are these extremists allowed a platform when people like Robert Spencer and Pamela Geller are denied entry to this country to offer a counter-opinion of the views of those who want gender apartheid? Free Speech is all or nothing. Either ban the extremists from speaking, or allow all to speak. It seems to me that this religion is being “protected” rather than being opened up for criticism and debate, and it is time to ask why. We can still do this in our free and equal country, can’t we, or is it just criticism of Mandela that we must not allow?